Google is reportedly testing a new subscription model for its Play Store, whereby app creators are given a bigger cut of subscription fees, according to Recode. The new model will allow app makers to pocket 85 percent of the subscription, instead of the regular 70 percent, which changes could signal a big shift on how app makers charge for their apps. And it's coming on the heels of Apple's rumored major shake-ups coming to app store, which also includes a new revenue-sharing model that would give developers more money from subscriptions to a service via their apps. For publishers on iOS platforms to be able to keep 85 percent of revenue (against the usual rate of 70 percent of all revenue generated from subscriptions), once a subscriber has been paying for a year. But, Google plans to up the ante, as it moves from a 70/30 split to 85/15 for subscriptions — and instead of requiring developers to hook a subscriber for a year before offering the split, it will make it available right away. Even as Google had tried buying developers over by offering app creators the ability to handle payments themselves and keep all of the revenue. In contrast, Apple requires all payments made within the app store to go through iTunes billing system. 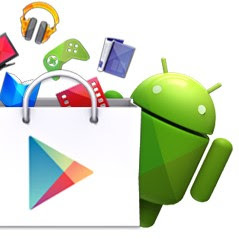 While Google has been testing the new split model with some entertainment companies already, it remains unclear when it will roll out to all its app creators.